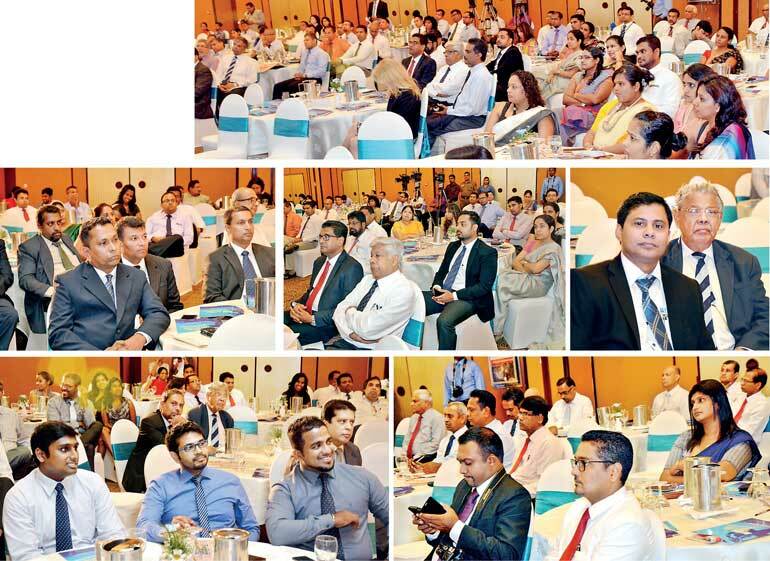 Recognising the urgent need for third generation reforms to improve the business climate and achieve higher and sustainable socio-economic growth in Sri Lanka, the Daily FT and the Colombo University MBA Alumni Association in a joint initiative held a first-of-its-kind forum titled ‘Reforms: The Way Forward for Sri Lanka’ last week in Colombo. The forum was an ideal opportunity for both the public and private sector to be enlightened as well as share their ideas on the way forward in terms of reforming relevant sectors and thereby Sri Lanka’s economy for the future good. The relevant sector minister and his secretary and public and private sector leaders were invited to share their views. DFCC Bank was the strategic partner of the Forum. The session titled ‘Public and Public Enterprise Reforms’ saw Public Administration and Management Ministry Secretary J. Dadallage delivering the keynote address, which also featured a prolific panel discussion. Moderated by Daily FT Editor Nisthar Cassim, the panel members were TW Corp Ltd. Chairman Thilan Wijesinghe, Immigration and Emigration Controller General M.N. Ranasinghe and World Bank Senior Country Economist Ralph van Doorn. Delivering the keynote address, Public Administration and Management Ministry Secretary J. Dadallage said public sector reforms was a topic that had been discussed for a long time at many forums, but had continued to remain unaddressed due to various other obligatory factors as well as political agendas, and therefore it was a timely topic. Noting public sector reforms needed to be considered hand in hand with compatibility with the private sector, he stressed that it was important to develop effective forums to understand the areas where restructuring was required. “Generally, the key issue is whether the public is efficient or not. Apart from effectiveness of the public sector, higher levels of bureaucracy and red tape, delivery as well as roles and functions are also some of the key concerns of the public sector,” he pointed out. In addition higher levels of corruption and less private sector support for issues in the public service are mostly discussed as far as the economy and other sectors are concerned. Despite the criticism and negativity prevailing in the public sector and being discussed at many forums in society, Dadallage noted that there were still some positive factors in the sector. “Sri Lanka has a large public service, with a highly competitive workforce. When we compare the competitiveness of entering the corporate sector and the public sector, there is a very high competition even to get into a lower level position in a State institution because of the monopoly, opportunities and facilities as well as considerable recognition and acceptance,” he explained. The Secretary said critical attention was required to set up matching of organisational responsibilities and functions especially in cluster ministries and organisational arrangements in order to avoid too much duplication, wastage and ineffective features. He also suggested setting up a mini cabinet system for consensus and decision-making convenience. Speaking on incompatible HR management, Dadallage suggested a change in ‘eligibility’ criteria towards more ‘suitability’ criteria, noting that the current recruitment process through examinations was not the best solution. Elaborating further, he said most public servants tend to relax relying on the job security they have once they get into an institution, which leads to internal uncompetitive HR practices. Hence, competency and skills framework for organisations and HR practices should be inculcated to the public sector. He suggested that existing policy analysis, introducing policy alternatives, consensus building for effective contributory applications, sectorial integration for public sector productivity and benefit sharing strategies, mutual agreements should be brought into the less strategic public sector to be more productive. Dadallage said in order to mitigate the corruptions and malpractices in the public service, it was important to introduce more open systems and automations, public awareness, empowerment, improve responsiveness, less Government involvement and evaluation as well as establishing internal control mechanisms. Sharing a success story, Immigration and Emigration Controller General M.N. 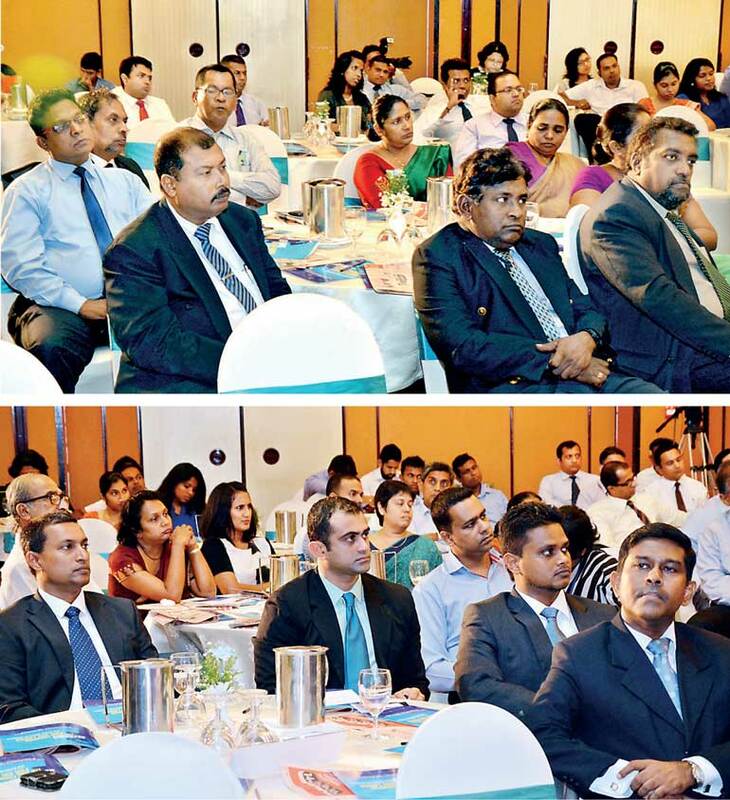 Ranasinghe explained how the Immigration and Emigration Department underwent through many challenging processes to make it a profit-making public enterprise today. “Being a bureaucratic organisation, we first resettled the decision making process and identified our clientele, which is very important for any organisation when it comes to reforms for transformation. We also worked on futuristic basis because today’s numbers are not going to be tomorrow’s numbers,” he explained. Elaborating on the Immigration and Emigration Department clientele, he said it consists of all Sri Lankan nationals as well as foreigners, thereby it’s countless. “Visa applicants are foreigners and passport applicants are locals. Therefore, we have to maintain a balance between the expectation of the foreigners and the Sri Lankans. Under one roof, we have to have several approaches, decision making, structures being implemented, identifying the volume and the expectations of the clients,” he added. Noting that the department was working on a manual which was primed in the 1950s, he said it was crucial for them to amend the Act and regulations evaluated to deliver modern day anticipated services. “In early 2000, we completely changed the working manual and came up with an improved instruction manual which suits the modern day and it is only then that we thought of automation,” Ranasinghe stated. He highlighted that identifying the areas which needed to be transformed and simplifying existing processes was important before they went into automation. The Controller General said that automation had helped the organisation come a long way to survive in this highly-demanding environment. “We came up with a new project in 2012 called Electronic Travel Authorisation (ETA). Although the investment was around Rs. 80 million, we were able to achieve a revenue worth over Rs. 3 billion in the same year. That was a very successful initiative, irrespective of the resistance from stakeholders, and today we get due respect from them for the efficient service we provide,” he asserted. Acknowledging that the Immigration and Emigration Department will be moved into a new place in Battaramulla by July, he said there would be more operational units to provide efficient service to its clientele. “Business is time and accuracy. It is fundamental to provide accuracy in services we offer and at speed beyond their expectations,” Ranasinghe noted. 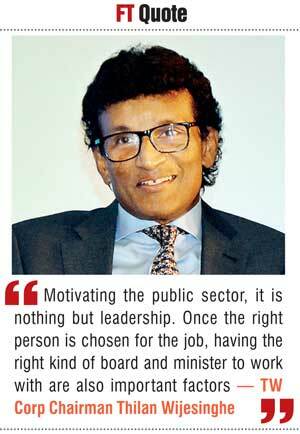 Suggesting reforms to the public sector, TW Corp Ltd. Chairman Thilan Wijesinghe said it was essential to find the right man or woman for the job. “Motivating the public sector, it is nothing but leadership. Once the right person is chosen for the job, having the right kind of board and minister to work with are also important factors,” he stressed, relating his experience serving as the Chairman of BOI during President Kumaratunga’s tenure. “The job cannot be done if the minister in-charge acts as the CEO. The CEO is given a task. The minister should be the policymaker and he should not be involved otherwise, especially in transferring and bringing in people,” he said. In addition he pointed that giving the public sector a sense of belonging and vision for the organisation also helps to motivate in achieving the desired targets. 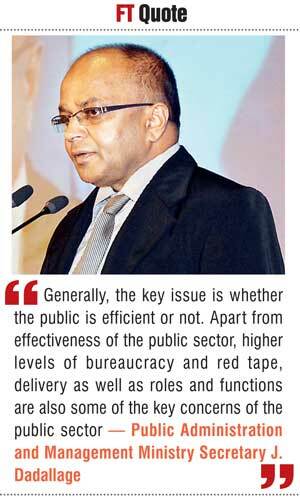 Wijesinghe said in order to make the public sector more efficient, it was imperative to show the staff through example, provide them a sense of belonging and recognition for their efforts such as bonuses, increments and promotions. Noting that having the private sector working in line with the public sector helps to create a healthy sense of competition, he said notwithstanding that the public service didn’t have the legal and the financial structuring skills which investment bankers have, man to man, the brain trust within the public sector is as good if not superior to that of the private sector. “I learned significantly from my colleagues in the public sector; each and every one of them had a minimum of a university degree, but they were far superior to others who had other qualifications,” Wijesinghe added. In terms of achieving targets, he pointed out that during his tenure as the Chairman of the BOI, they had very simple organisational goals such as highest-ever FDI, which they eventually achieved in 1999 with $205 million, where FDI statistics were reported accurately in Central Bank reports. “I can say that during past eight years the FDI figures that were reported do not follow international norms,” he claimed. World Bank Senior Country Economist Ralph van Doorn said while Sri Lanka was one of the earliest South Asian countries to open up to trade, in recent years Sri Lanka’s growth has been driven by non-tradable sectors, and exports have been a declining share of the economy. Hence, he suggested that Sri Lanka should capitalise on the neighbourhood advantage which is becoming the fastest growing region in the world for a number of years, driven by India. 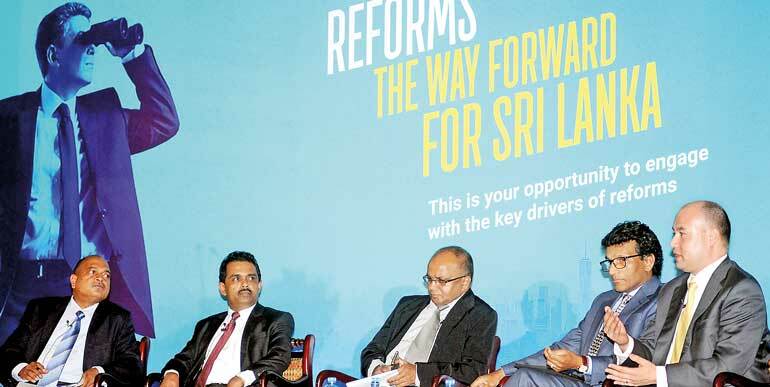 Noting that the South Asian region is still not highly integrated and trade and investment are lower compared to other regions in the world, in particular to highly-connected East Asia, he asked how Sri Lanka could seize this new opportunity and connect itself to the fastest-growing economies of the world, in particular in South and East Asia. He outlined five diagnostic challenges such as fiscal sustainability, promoting better jobs for the bottom 40% as an emerging middle income country, social inclusion for disadvantaged segments of the population, long-term sustainability challenges to preserve the environment, ensure political stability, and support an ageing population as well as identifying governance, a cross-cutting challenge in all of these. In terms of reforming the tax regime and improving tax administration to improve revenue performance, he said revenue collection is amongst the lowest in South and East Asia. “This has led to a number of other pathologies: expenditure has been cut successively, leading to a situation where the expenditure on health and education is the lowest amongst Asian peers,” he stressed. He stated that reforming the tax regime would ensure fiscal sustainability, and therefore macroeconomic stability, which is a precondition for poverty reduction. It also reduces the risk of undercutting, and increases the ability to increase, investment in human development. Emphasising on improving the adequacy and effectiveness of spending, van Doorn pointed out the need for more rational public spending, which will allow for greater resources to be directed at improving human capital and enhance and spending on social welfare needs, thereby reducing poverty. He also advocated improving the regulatory environment to allow firms to grow and enhance overall productivity in the economy. He went on to say that providing a more conducive business climate with business-friendly regulatory systems would allow formal firms to grow and reduce informality, thereby creating more and better jobs. “Land management could allow for better use of agricultural lands. Greater certainty over property rights could induce better investment and job creation to grow and enhance overall productivity in the economy,” he explained. Stating that reviewing the role and participation of the public sector in the economy was important, he asserted that reducing the distortionary impact of the State’s role in the economy could ensure the private sector is not crowded out and can grow, generating more and better jobs for the bottom 40%. In order to enhance the efficiency of the public sector van Doorn said uplifting controls on public sector remuneration and reducing political influence in public service management could help improve service delivery, with particular impacts on lagging regions. Q: From what I see, a years back somebody has spat out this set of rules which actually cannot and will not assist in any way for any productivity in developed delivery. Who is responsible for setting the standard of Government sector recruitments? Are there any reforms taking place to overcome this? Dadallage: The Ministry of Public Administration and Management is responsible for the majority of all island services. But under this prevailing system of recruitment, we don’t see that we can select competitive or skilled people into the public sector as there is no associated system to assess the competencies required. We recruit people the traditional way, via an examination process. Yes, we are now considering a number of initiatives in this regard. Through the examinations, we test the eligibility of candidates, but all are not suitable. So there should be another associated system to check the suitability of the candidate to the position. It is important to open up the systems and make it competitive, then everybody will be able to assess their own skill and competencies. These reforms must take place and we have proposed to the Cabinet of Ministers to establish such proper practices. Q: In your address you mentioned there is no performance measurement even at a higher level. What stops you from implementing that? Dadallage: We have a performance evaluating system, but at the end of the year all are very good officers, excellent. We need to change that pattern. For example in my ministry, we have signed agreements with officers at each and every staff level. Then we have introduced measuring systems, but it is very difficult to transform. According to the previous system we come to an agreement at the end of the year, but it should be a simple transformation. At present there is no proper evaluation mechanism. The evaluation should be done based on activities, service delivery, and promotional aspect and associated with targets. Wijesinghe: I think without pussyfooting around this whole issue, public sector reforms is excruciating slow in this country because of the political establishment. I believe we need to handle this situation because it’s a fundamental issue. In my view, when we part privatised the port, we held the carrot in one hand and stick in the other hand. We need to adopt that sense of competition being left out. One, let us follow due process and follow the due policy. We clearly mentioned that we never want to see the port go on strike and that is the one reason why we introduced competition but it has had the impact of making the Sri Lanka Ports Authority productive. In my view, to hide behind the fact and use roundabout terminology not calling it privatisation of public enterprise reforms, I think we need to handle head on, take it head on and explain all the stakeholders why we need to do it. Address their root causes and fears. People are fearful of losing their jobs because inflation has been eating into their pay checks for 25 to 30 years, other than probably the last five years, where we met single digit. So we need to address those or we are not going to make much progress on it. Q: A lot of these private sector firms in marketing, accounting, HR and banking nowadays recruit young people straight out from schools. They say that with modern technology youngsters at the age of 16 are able to grasp management principles, thereby becoming professionals by the age of 19. Can’t we set up an administrative cadet system, where the public sector recruits Advanced Level students and trains on the job while they do their degrees or professional courses, so that we have dedicated people who will take their place? Dadallage: We have several ways of recruitment into the management level. The public sector is getting the cream of the manpower in this country; there is no doubt about that. However, after getting into the public sector, there is no proper competitiveness outside. We have to create that competitive atmosphere, because that’s the kind of motivation for self-development. The other issue is structural errors. People in the public sector are constantly facing such hurdles. There must be set practices to get the right person for the right position. Q: When recruiting to the public sector, they are mostly from the national universities. Once they are in public sector, they privileged with two years’ paid salary to study abroad, whereas in private sector, we find it difficult to take study leave to do our exams. With so much Government backing, why don’t we still have a system in place to turn those loss-making State entities into profit making entities? Dadallage: This is basically about the targets of the entities. If we can give the public officers targets on the point of recruitment, it would be more practical such as assessing of competencies and skills, which need to be introduced as urgent reforms to the public sector. Wijesinghe: This is mainly because of the lack of role models in public service. There are two organisations which have operated extremely successfully, both commercially and in terms of the objectivity of set up, these SLIIT and Lanka Transformers. Q: Is the public sector fiscally sustainable? Wijesinghe: The current set up is not sustainable. Like the Finance Minister correctly pointed out, a sudden change is not feasible politically and otherwise. If you want to get a scale of the bloated size of the public service, a good example is the port, where private terminal operators versus the Sri Lanka Ports Authority would have more than 100 times the number of staff on a per TEU basis, despite doing the same job. Three or four criterion to undertake public sector reforms and these are some of the criterion we followed when Sri Lanka Telecom and Gas were privatised. One is having a very clear vision, effective communication and follows due process with right financial advisors. When SLT was being privatised, the trade unions were sent on a study tour to Argentina and Chile. You had to wait for two-and-a-half years to get a telephone connection before Lanka Bell, Suntel and other mobile operators were here. You really need to look at an aspect of social engineering as to why university graduates and the educated in Sri Lanka prefer to join the public service. It is a combination of pension and recognition. Pension is a critical factor, but there are more cultural barriers when they join the private sector. I think the private sector has a bounden duty to meet halfway to encourage the local university graduate students to come into the private sector. One of the problems created at the lower end is that public sector positions pay higher than the private sector. That is why the private sector also needs to migrate to higher value added positions, especially in the hotel and construction industries. These are some of the multi-faceted issues we need to address. Ranasinghe: One important factor we have to identify is the composition of the private sector. When it comes to the private sector, if economic activities are flourishing and coming up with bigger magnitudes, then naturally the Government sector should streamline. When there is a dominating public sector, the attraction is also towards that. People are seeking more and more opportunities in the public sector because they find it is more sustainable, but it is a myth. When it comes to the corporate sector in a state where the economy is in a developing stage, then people will engage in more and more economic activities, thereby people can be benefited more in the public sector than in the private sector. When the economy is developed, it is only then that you can think of downsizing or resizing of the public sector. van Doorn: One perspective is job opportunities for the private sector. South Asia, especially India, is going to be the highest growing region in the world in the near future, but the trade is disconnected or FDI is still very limited. Considering what the panellists said, what can the private sector do to provide future jobs in the corporate sector? I would say there are plenty of opportunities in this region. Sri Lanka is in a region where it connects better to Asia. It could grow exports a lot more and create jobs in the sector. At the moment Sri Lanka’s exports go primarily to the US and Europe, but if the country needs to grow and create jobs, you should not rely on textile export baskets, but look at alternative products. The public sector can help by trying to introduce more business friendly taxation and efficient tax administration. Q: You said 50,000 passports a month; to do that, has your workforce increased? How do you compare five years ago and today? Ranasinghe: When it comes to computer infrastructure, depending on the volume that we have handled and we are supposed to handle, we increased the capacity of the computer systems and not much in terms of human capacity. Q: Is 50,000 passports per month the peak possible productivity? Ranasinghe: Depending on the demand, we can accommodate even more than 50,000 passports.